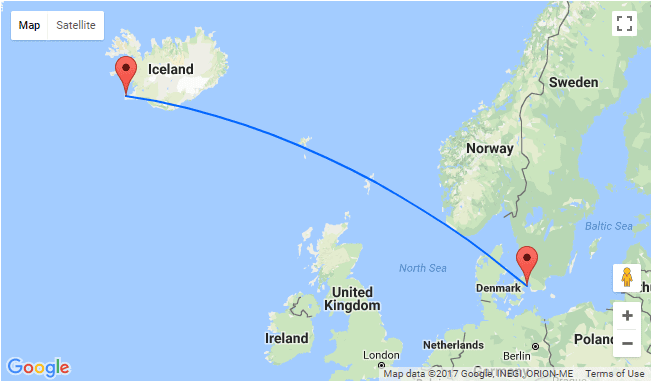 The 3.5 hours it takes to travel from Iceland’s Reyjavik Airport to Denmark’s Rigshospitalet can feel like an eternity for those who are making the trip to learn whether they have cancer or if their treatment is working. Recognizing the need for a solution, the hospital decided to bring three new pieces of medical technology to the island: a PET/CT scanner, a cyclotron, and a state-of-the-art PET radiochemistry facility. 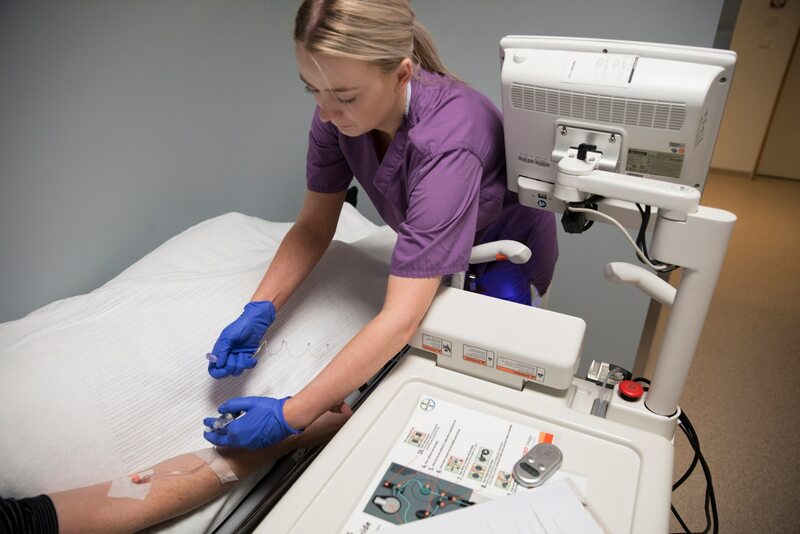 Positron Emission Tomography (PET) is a type of nuclear medicine imaging that uses tiny amounts of radioactive drug – referred to as a “tracer” – to diagnose, stage and monitor diseases, including cancer and neurological disorders such as dementia and seizures. The tracer releases emissions that are detected by the PET camera. 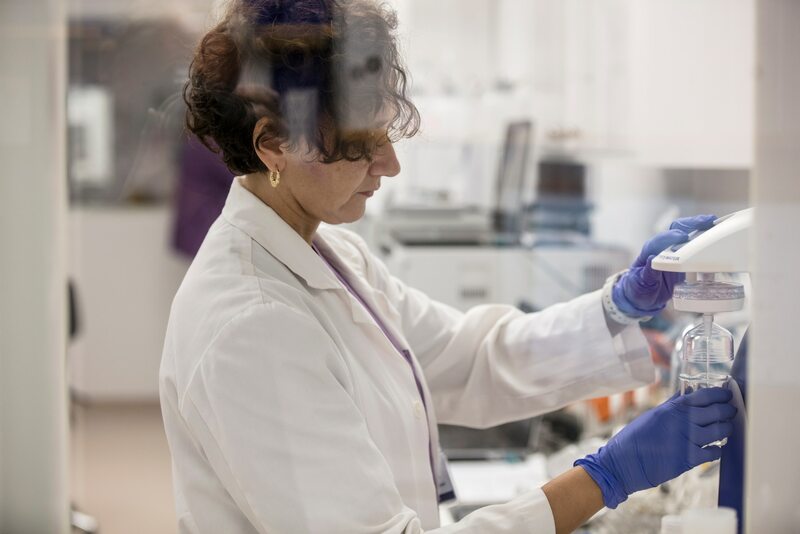 These emissions provide molecular information, which is used to create pictures with highly detailed information about both the structure and function of organs and tissues in the body. The challenge for an isolated island such as Iceland, is that tracers have short half-lives, meaning they lose half of their potency and effectiveness within a matter of hours. In fact, the most commonly used isotope in PET imaging, Fluorine 18, has a half-life of two hours; while others, like Oxygen-15, have a half-life of two minutes. 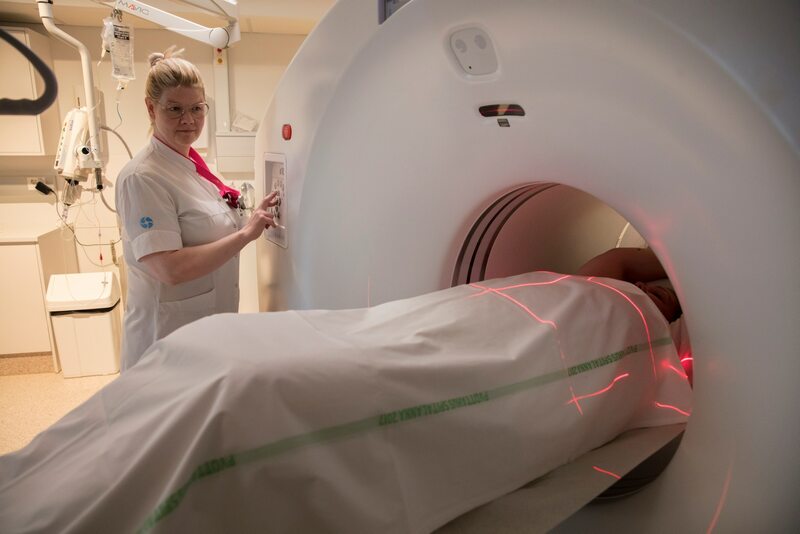 Since no tracer network existed close enough to deliver tracers to Iceland on time, it was decided that Landspítali Hospital would partner with GE Healthcare to install the country’s first TRACERcenter to enable PET/CT diagnostic scanning in Iceland. 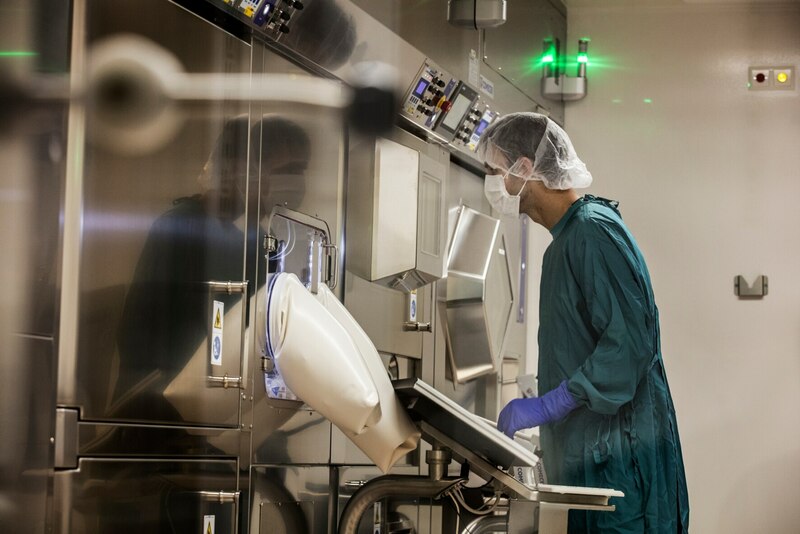 This total PET radiopharmacy solution includes GE Healthcare’s Discovery 710 PET/CT and MINItrace cyclotron as well as FASTlab and TRACERlab FX2 chemistry systems for routine clinical tracer production and future research capabilities. Cyclotrons are giant electromagnets made from tightly wound copper coils. The technology uses a significant amount of energy to heat hydrogen to nearly the same temperature as the surface of the sun. This extreme heat converts hydrogen into negatively charged hydrogen ions which are then accelerated towards the speed of light, transforming them into the radioactive isotopes that are used to create PET tracers. Landspítali Hospital celebrated the opening of its TRACERcenter and the installation of a Discovery 710 PET/CT device in December 2018. Adoption of PET/CT has risen steadily in recent years. 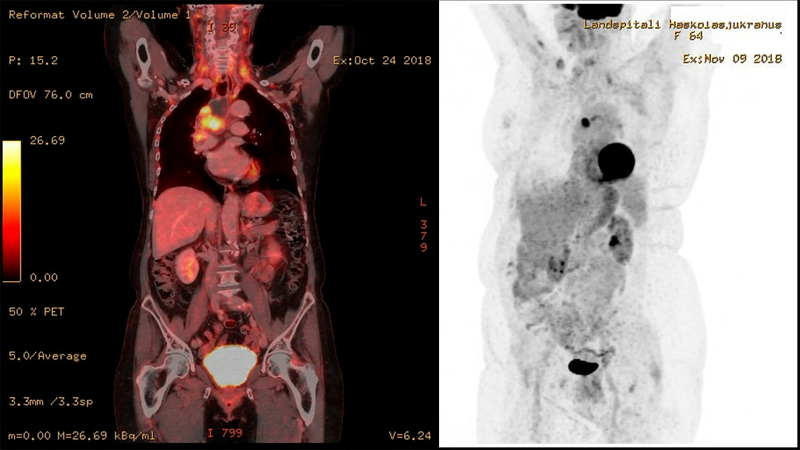 In 2000, Time Magazine named the PET/CT scanner the medical invention of the year and by 2011, 90% of PET/CT scans were used to diagnose and monitor many kinds of cancers.